This Palos Park homeowner had Hail damage from a summer storm and we worked with their insurance company to help them replace the roof. Stan's Roofing & Siding came out and inspected the roof to help with the process with the insurance company. We have hundreds of happy customers in the Palos Park area, and we'd love for you to be one too! This roof had recently received significant damage, and they needed help from a reputable expert! Our team provided a detailed inspection and this allowed us to craft a plan for this home's specific needs. We replaced damaged shingles by the chimney, and now the client can rest assured they are safe for years to come! This homeowner was shocked to find a hole in the roofing shingles where a raccoon has made its way but we were there to save the roof from anymore damage with a few repairs to the shingles. No matter the cause of the issue, Stan's has the experience to fix your roof! I'm interested in changing the roof on my house with slate tiles (not natural but plastic one). Do you guys do that ? Also i want to talk about fascia and gutters installation. Need some downspout rework from gutter to drainpipe in one section of gutter. Looking for estimate on house siding. I am interested in replacing the wood siding on my house with vinyl. Property under contract and will be rehabbed to resell. Current roof is cedar shake. Looking for quote to re roof with simulated cedar shake roof. 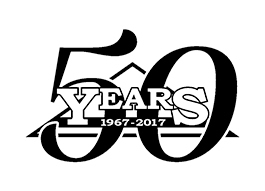 Stan's Roofing & Siding has served the residents of Palos Park since 1967 with a wide range of roofing and siding services. Our employees are professionally trained and capable of installing or repairing your roof or siding quickly and efficiently. These pieces get placed in the attic before the insulation gets blown in over vented soffit to secure proper ventilation intake after insulation has been installed. I need a new roof and gutters on my house! Hello. I'm currently looking for a roofer for the complete tear down/replacement of my roof, replacement of gutters and also tuckpointing of chimney if you provide this service as well. I also have a back upper deck where I would like a roof placed. It has some temporary cover on it now. Can you please give me a free estimate? Not in a big hurry but I am shopping for the best deal from a reputable company that has great reviews. I am home in the evening after 5:30 p.m. but you are welco6me to come out anytime during the day to inspect if during the day works best for you. Just let me know the day and time since my older son is home. You can leave me your quote in my mailbox and I will call you after I have had chance to review it. I have a roof repair that needs to be addressed. Small water leak.